popular ranges available in the Trianco portfolio of heating products. British manufacturer. Aztec is the preferred choice for many households that have no mains gas supply or are seeking an alternative to fuels such as oil or LPG. technology and can provide ample supply to radiators just like any other conventional boiler. Aztec boilers feature specifically designed state of the art, printed circuit boards (PCB). Providing full modulation, it controls the continuous supply of an optimum output for the systems demand. 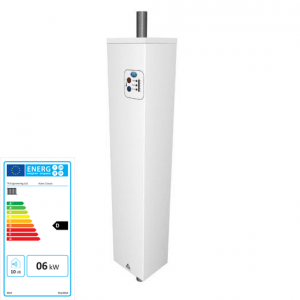 The full controllability through all heating cycles ultimately reduces running costs. Dry fire and overheat monitoring fully protects the elements and a full diagnostic remote fault finding feature is available. All Aztec electric boilers are ERP approved. ERP is an ‘Energy related products’ regulation, designed to label products that meet the criteria put in place to meet European emission and carbon reduction targets for 2020.